If you’re looking to spruce up your bland garden, consider one of these 10 clever DIY projects to add a splash of whimsy! Nobody likes pests in their garden, but these little bugs are downright adorable. 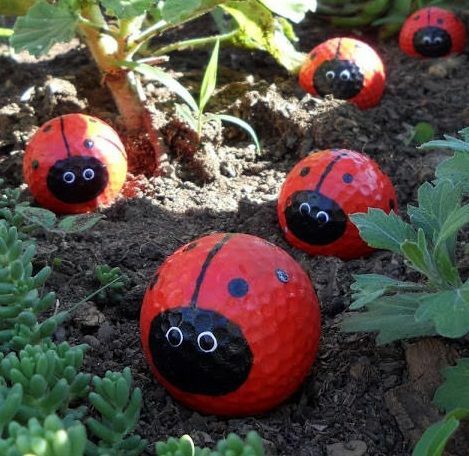 Paint a few spare golf balls to create these little lady bug critters. Create a floating, sparkling decoration with an old watering can and a few crystals. 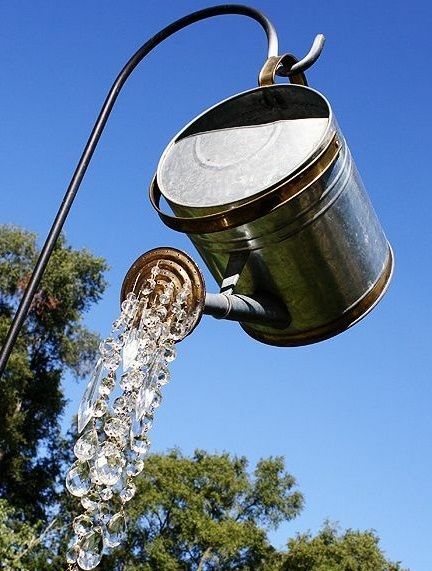 Attach strands of crystals to the spout of the can and hang it above your garden to create the illusion of an ever-pouring watering can. Check out Crafts By Amanda for a step-by-step guide. 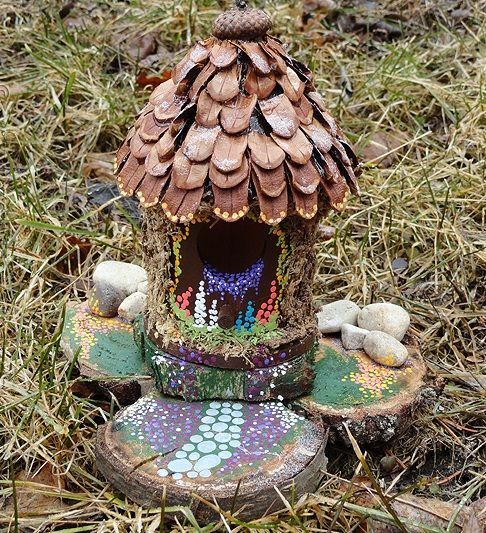 Take a cheap wooden bird house and transform it into a delightful little fairy house. Follow these directions to add some magic to your home. 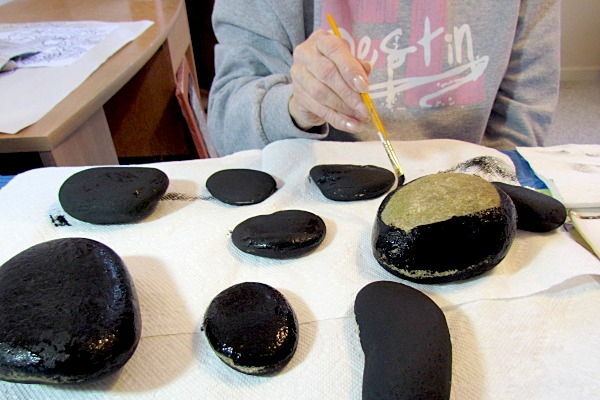 Don’t spend money on decorative garden rocks when you can make your own. 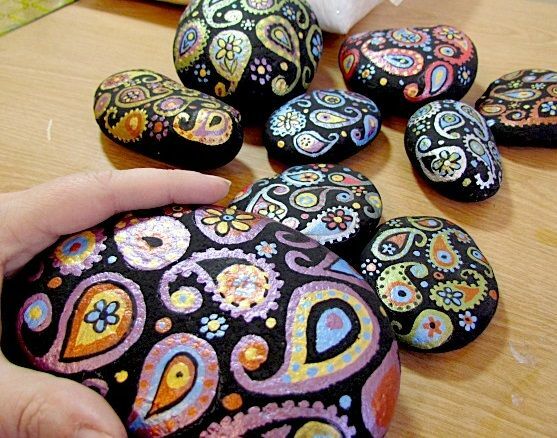 Check out these eye-popping paisley stones created by Susan Myers. Check out her blog for instructions on how to make your own spectacular stones. 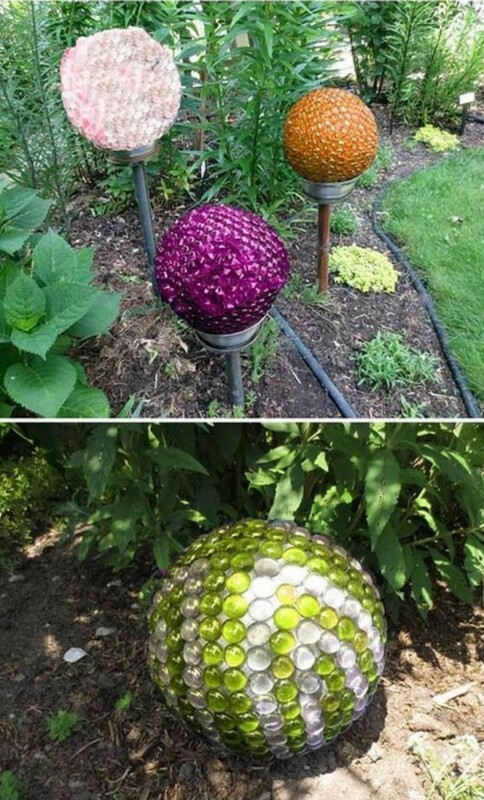 Add some shine to your garden with these bejeweled garden balls. These gorgeous, giant globes will sparkle in the sunlight. Follow Empress of Dirt’s instructions on how to make your own. 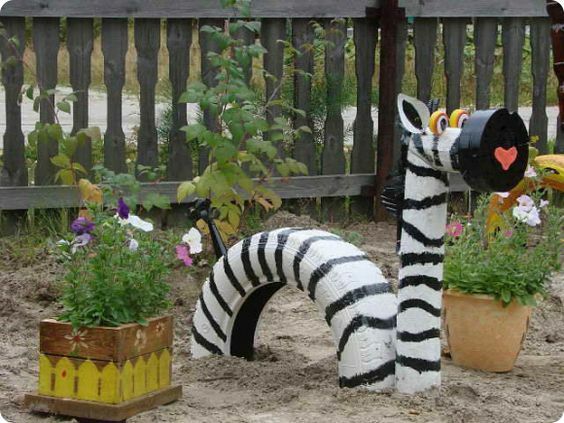 Add a dose of wildlife to your garden with this nifty zebra. With an old tire and some PVC piping, you can add a happy little visitor to your yard. Want some company in the garden? 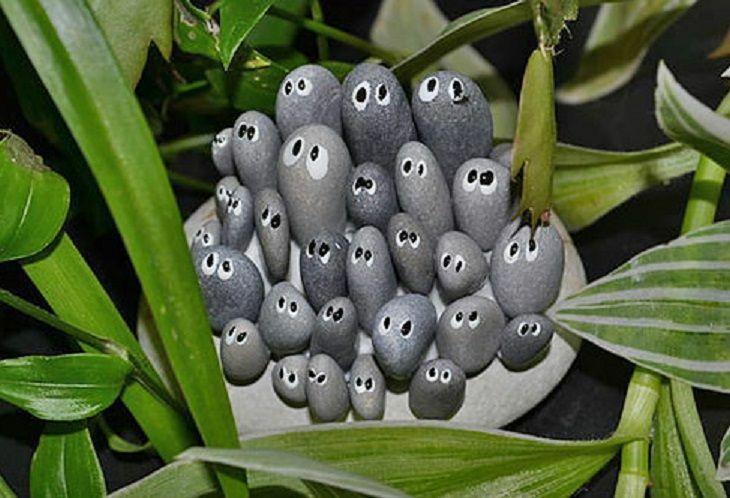 Create these little peeping critters with some rocks and paint. Instructables’ Marcellahella has your go-to guide. 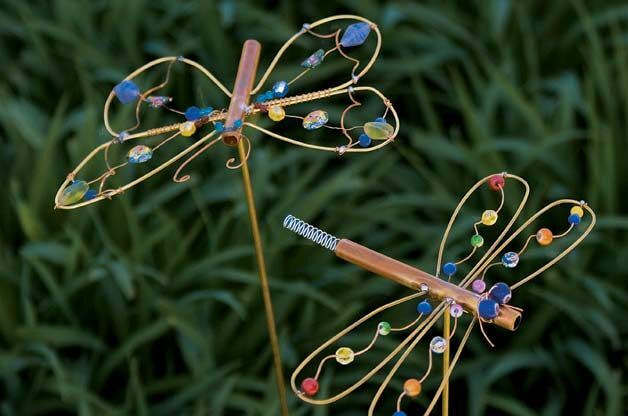 Add a little art to your garden with these bejeweled copper dragonflies. 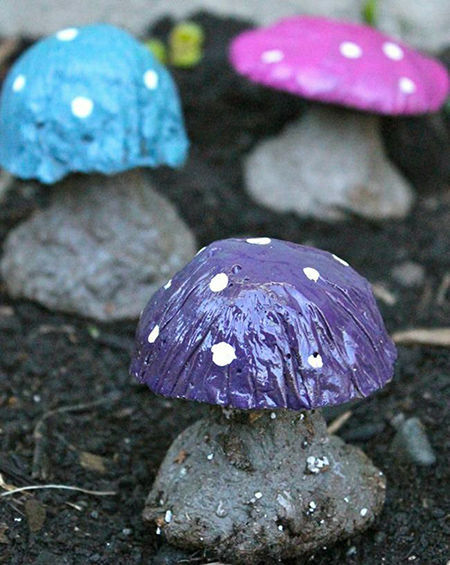 These whimsical bugs make for a great project to do with your kids. Check out Birds & Blooms for their handy how-to guide. Have a little fun with these concrete fungi. Paint them bright and bold colors to make them really stand out in your veggie patch. Crown Hill will walk you through this DIY project. Check out this video from Melissa J. Will on how to drill holes in glass and ceramic dishes to create decorative garden flowers.